Steve Arnott, from the documentary A Northern Soul, plants tulips with volunteers, ensuring a more colourful future for the city. Photo: Syeda Nudrat. This weekend, the iconic blue-coated City of Culture volunteers help to launch a new community project as they start leading on projects in their local communities. To kick things off, thousands of tulip bulbs will be planted in 10 neighbourhoods across the city. This new volunteer-led community project is part of Absolutely Cultured’s partnership with Nesta and the Department for Digital, Culture, Media and Sport (DCMS) empowering individuals to make a difference through social action. 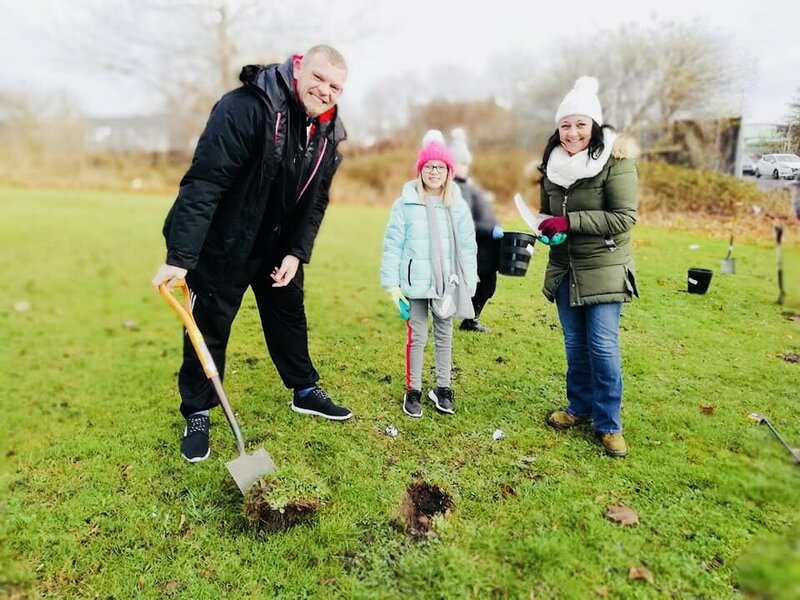 Working with communities across the city, the volunteers will be planting bulbs in Holderness Road, The Boulevard, Greatfields, Sutton Park, Gipsyville, Ings Road, Fountain Road, The Quadrant, North Bransholme and Preston Road. Brightening up areas outside care homes, churches, pubs, hairdressers, busy junctions schools and nurseries, the idea came from a number of volunteers inspired by the meadow project that Hull City Council delivered this year. The seed was planted and now thousands of tulips will add a pop of colour during spring next year as the tulips begin to flower. Shaun Crummey, Head of Volunteering at Absolutely Cultured, explained: “This project is about connecting communities and empowering our volunteers to make a difference in a different kind of way. “We’re incredibly proud, not only of what the volunteers have achieved to date, but of the endorsement they’ve been given by Nesta and DCMS through their generous support. This project is only the start of a bigger programme connected to the Nesta funding. “We’re really excited that we have this opportunity to support and empower the volunteers to take the fire in their bellies to energise their own communities and of course the city as a whole. Absolutely Cultured was one of 16 organisations selected to take part in the Connected Communities Innovation Fund, a partnership between Nesta and the Office for Civil Society at the Department for Culture, Media and Sport (DCMS), providing grants to the best innovations that mobilise people’s time and talents. Be the first to comment on "Tulips are coming!"